A furnace is crucial for comfort and survival in cold winter weather. Without it, we would still be huddling around wood fires to stay warm. Unfortunately, furnaces need regular professional tune-ups and homeowner upkeep to run strongly and efficiently. The first thing you want to check is the air filter. Over time, furnace filters get dirty. 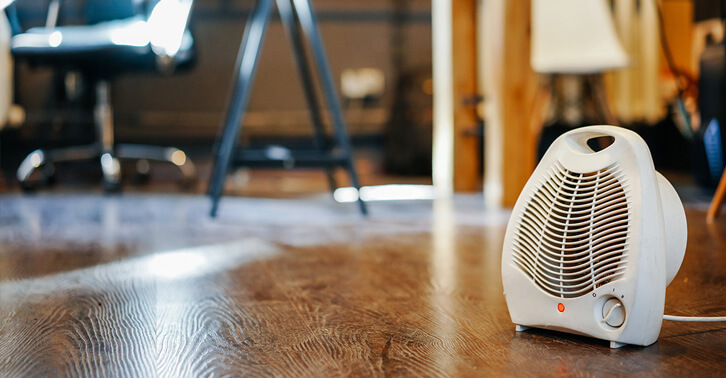 Dirt and dust can quickly clog the filter, which impedes airflow, worsens indoor air quality, and can even prevent the furnace from turning on in some cases. It can also become a fire hazard and cause premature breakdowns due to excessive dust and dirt. Turn your thermostat off and flip the furnace switch off before you conduct any work on the furnace. Check your air filter every 30 days (set calendar reminders). Hold your filter up to a light source — if light cannot pass through easily, it should be cleaned or replaced. When installing your new filter, remember that the arrows should point in the direction of the airflow. Make sure you properly secure the access panel. After verifying that your furnace filter is clean and installed properly, check the thermostat. Make sure it is set to “heat” and try setting the temperature at least 5 degrees higher than the current room temperature. If the thermostat needs new batteries, replace them. For electromechanical thermostats, you may need to open it up and give it a gentle dusting. Use a soft paintbrush or something similar to lightly brush off dirt and dust, including around the metal coils and contact plates. If your brush is too large, try a soft paper. Check the location of your thermostat and make sure it isn’t receiving any false readings from sunlight, lamps, ovens, space heaters, or any other heat source. If the thermostat is receiving the wrong input, it will send out the wrong output. Sometimes, the filter and thermostat are fine. Instead, power could be the problem. Check the furnace switch located near the furnace. Someone may have accidentally turned it off. Try flipping it back on. If that doesn’t work, head to the electrical panel. Make sure power is turned on at the breaker box or fuse box. If your breaker box is properly labeled, make sure the HVAC breaker is on. Even if you don’t have any labels, look for the breaker switch that is in the opposite direction of the rest. That is the breaker you want to switch back on with the rest. To reset your breaker, flip the switch all the way off before flipping it back on again. You should hear a click. To restore power to a fuse box, look for a melted and discolored fuse. Unscrew the fuse and replace it with the exact same size and type of fuse. The best way to find fuse replacements is to go to the store with a current fuse and replace it with an identical one. Turn your furnace switch on and see if this restored power to your furnace. If the power is still out or the breaker continues to trip, contact a professional. Warning: Make sure your hands and feet are completely dry before attempting to reset power. If there are any signs of electrical damage or moisture, or you don’t feel comfortable, don’t touch anything and contact a qualified electrician right away. Your furnace flame should be a healthy blue color, with perhaps a small yellowish tip. The blue flame indicates that your gas furnace is burning the fuel safely and efficiently. If the flame is red, yellow, purple, green, or any other color than blue, contact a professional right away. Never attempt to fix your furnace flame color on your own. If you go to check the furnace flame and it is out, you will need to relight it. While you can relight the pilot on your own, be extra careful and consult your owner’s manual for proper instructions. Don’t forget to turn off the gas for around 10-15 minutes before attempting to relight the pilot. If you continue to smell any gas, do not continue! You may have a leak, in which case, you should evacuate the household immediately and call your gas company and the fire department at a safe distance. Follow your manufacturer’s instructions for properly securing the access panel. Many furnaces will not operate if the panel is not pressed in all the way. Sometimes, your furnace is running but your rooms aren’t getting the proper heat or airflow. Inspect your entire home for all the supply and return grills. They should all be fully opened and unobstructed. Make sure there are no rugs, furniture, or anything else restricting the flow of air. 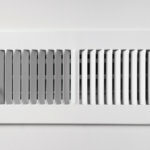 Not only will blocked vents and registers affect your comfort, they can also lead to duct leaks due to excessive air pressure and premature HVAC repairs and breakdowns. Closing off vents and registers in unused rooms is NOT a good idea. 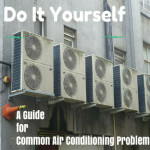 You won’t save any extra money and will end up causing more problems for your heating system. 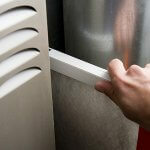 Learn more furnace troubleshooting and repair tips. If you’re having problems with your furnace, don’t hesitate to Ask a Champion for help. Service Champions is known for trustworthy, on-time heating and air conditioning service throughout the East Bay, South Bay, and Sacramento areas. Contact us today to schedule your annual furnace tune-up! Why Is My Furnace So Loud and How Do I Fix It?